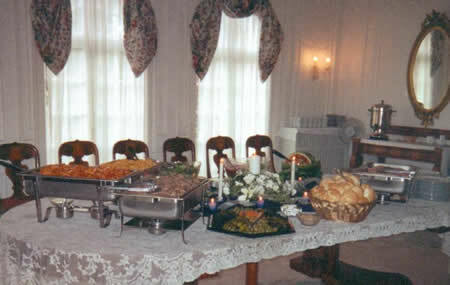 Choose Elegant Edibles Catering and Cakes for your next business luncheon or event catering. We will take care of all of your food details and customize it to your needs. Please take the time to look over our suggested luncheon menu or discuss with us your specific needs. Menu will include your choice of one selection from each category, plus beverage and disposable tableware. Priced Per Person. Contact Us For More Information.